Home > News > DU Entrance Exam 2018 Dates: UG, PG Final Exam Dates Released! DU Entrance Exam 2018 Dates: UG, PG Final Exam Dates Released! DU Entrance Exam 2018 Dates- Delhi University has released the entrance based exam schedule for UG and PG admission for the year 2018. Admission to 9 UG courses and various PG courses in Delhi University (DU) will be done through an entrance exam this year. The candidates should note that this year, there is a common portal to register for merit-based and entrance based exam. However, the separate registration fee would be charged from the students for each entrance test. The students can find the dates for DU UG and PG Entrance Entrance Exam on this page. The schedule released by the Delhi University is final and cannot be revised. 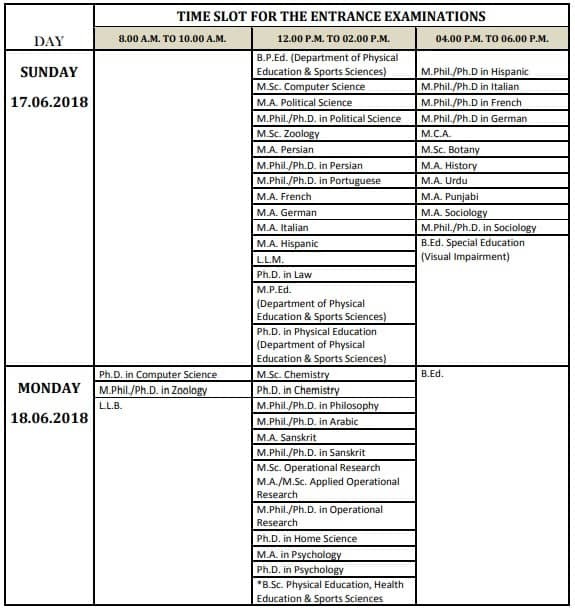 Earlier, the university released the tentative examination schedule for which they had asked the candidates to send the suggestion to the examination branch within a week by 25 May 2018. Now after receiving suggestions from the candidates, the final schedule of entrance exam has been released on the recommendations of the committee. Check the complete DU Entrance Exam 2018 Dates for UG, PG courses here on this page. 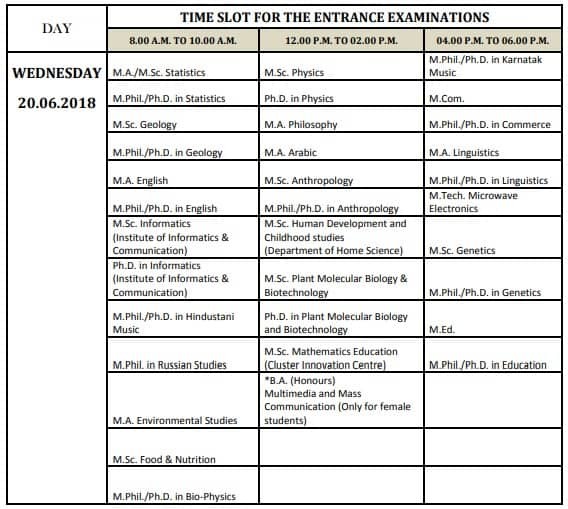 Latest Update - DU Entrance Exam 2018 final exam final schedule has been released by Delhi University on 7 June 2018. DU Entrance Exam (Final Exam Schedule) - Available Now! The entrance examinations for professional UG/ PG/ M.Phil/ PhD courses is given below. The candidates who have enroled for entrance examination can check the dates and time slot for each examination. 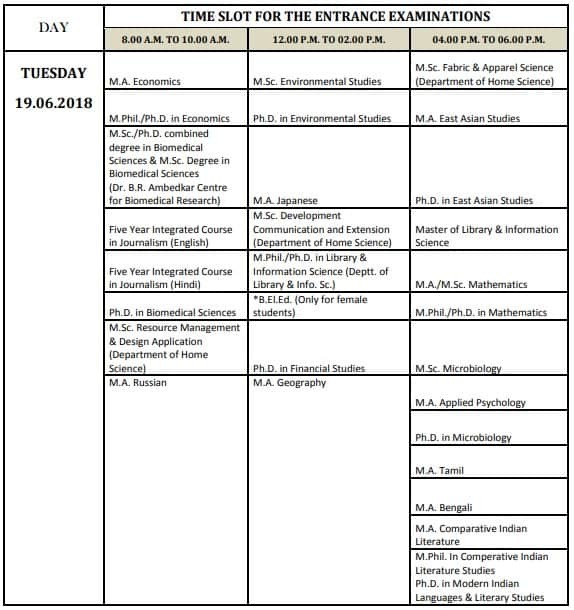 Delhi University has released the final entrance examination schedule for UG and PG on 7 June 2018. There are total 12 UG courses in Delhi University in which the admission will be based on entrance exam. 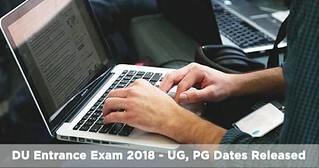 For 9 courses the computer-based exam would be held and for other 3 that are BA (H) Hindustani Music, BA (H) Karnatak Music, BA(H) Percussion Music only practical test will be he held. This is the final DU Entrance exam schedule released by the University of Delhi. Earlier, the university asked the candidates to submit their suggestion to the examination branch within a week by 25 May 2018. 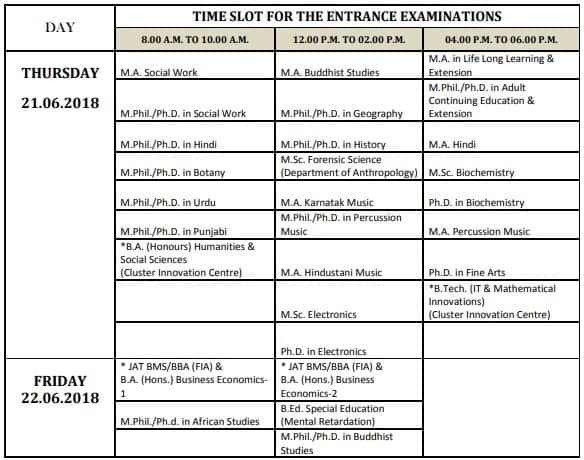 After reviewing the submission, the final schedule of entrance exam has been released. In case of any query regarding the news, the candidates can write to us in the comment section below.